Bhubaneswar, Nov 13: Instead of trading charges, the Centre and the Odisha government should come together and mitigate the plight of Odisha farmers who are facing a grave crisis due to drought and pest attack on crops, Union Minister of State for Agriculture, Gajendra Singh Shekhawat said today. Farmers in Odisha are hit by a serious crisis. Drought conditions prevail in 14 districts. 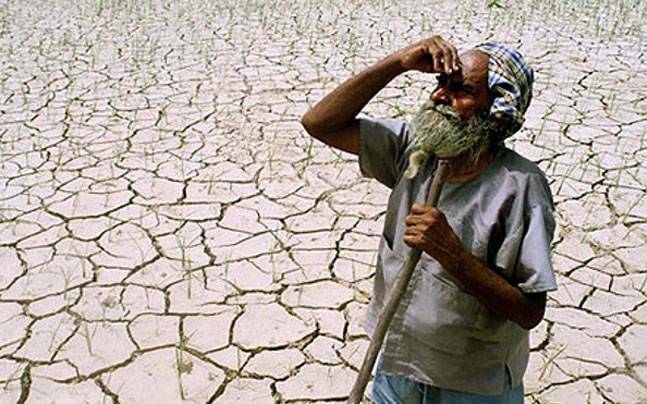 The areas, known as the rice bowl of the state, are hit by drought-like situation and pest menace," said Shekhawat, who is on a two-day visit to the state to review the problems facing the farmers. Describing farmers as "annadata" (food providers), he said this is not the time to indulge in blame game and find fault with each other. It is necessary to hold the hand of the distressed farmers in order to give succour to them, he said. The minister, who held a preliminary review meeting with state government officials here on crop loss caused by drought and pest attacks, said his visit is aimed at understanding the problems faced by the farmers and find solutions. The Centre would also find ways and means of extending assistance and cooperation to the state government to enable it to deal with the farmers' woes, said Shekhawat, who is accompanied by a central team comprising experts. Stating that he would visit the affected areas including Bargarh till tomorrow, the minister said he would also meet affected farmers and family members of those who have committed suicide. The Director General of Indian Council of Agricultural Research (ICAR) is scheduled to visit Ganjam district, where paddy crops have been severely hit due to pest attack, he said. Replying to charges levelled by a section of the BJD leaders that his visit is an interference on state affairs, the minister said it is the duty of the Centre to address the farmers issues and the visit of the central team is aimed at reviewing the situation and working together with the state to end peasants' miseries. During the meeting between the central team and state officials today, the state government urged the union minister to take steps for modifying guidelines and hike compensation by 50 per cent to affected farmers. As the affected farmers are now getting compensation of Rs 6,800 per hectare in rain-fed areas, the union minister was requested to raise the amount by at least 50 per cent, Special Relief Commissioner Bishnupada Sethi told reporters. Since the state is following Centre's guidelines, these can be changed by them, he said adding, even if the state wants to revive lift irrigation (LI) points to provide irrigation facilities to the farmers, it is not possible because there are no provisions for such mitigation in State Disaster Response Fund (SDRF). The state has written to the Centre to give powers to repair and revive LI points during drought, Sethi said. Agriculture Secretary Saurabh Garg said the central team was apprised about the situation in areas affected by pest attacks and steps taken to deal with the problem. "We also told them about the the package announced by the Chief Minister for the affected farmers," he said. Central help was sought in undertaking measures for pest surveillance, setting up of insecticide laboratory and having deeper bore wells and tube wells to include more areas under irrigation for a permanent solution to the issue, said Garg. A delegation of the state BJP also met the union minister here and urged him to take necessary steps to mitigate the plight of farmers.